The Indian audience love Bollywood stars and Bollywood celebrity weddings are big news these days. The way an actor's to be wife or an actress herself tying the knot is talk of the town. B-towners, without a doubt, define luxury , big brands and style. So its obvious when it’s the‘big day’of these celebrities it has to be beyond grand. When it comes to inspiration for fashion and dressing we love to take ideas and inspiration from our bollywood stars . The Bling and glitter of our favorite celebs are enough to keep us mesmerized and we love it when they get married ! Their wedding style is something we look out for! There are a lot of bride's who get inspired by celebs. A lot of to be bride's copy and mimic the bridal style of their favorite celebs. We Indians love our sparkling Big screen stars and when they tie the knot we dig into every detail we can get hold off! 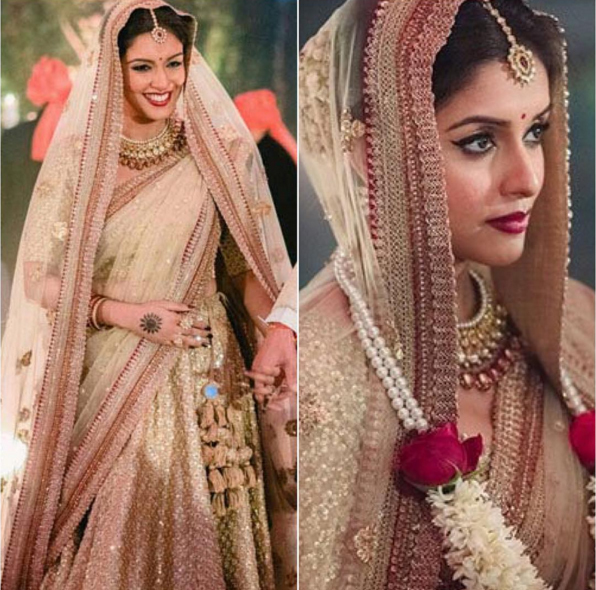 One thing we women love about these fat bollywood weddings is the Bridal trousseau ! 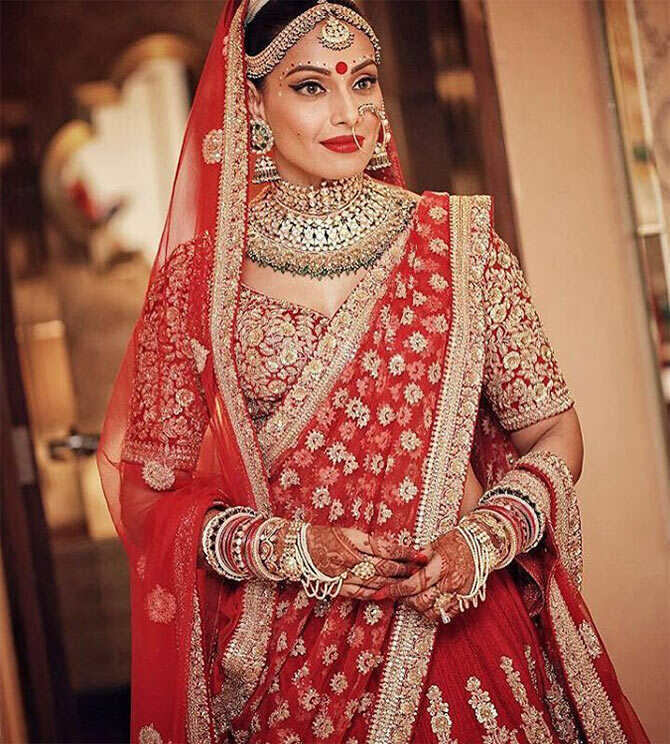 Famous designers, jaw-dropping splendor , flamboyance,precious jewellery and flawless makeup and hair is a regular when it comes to celebrity weddings but one we love to get inspired from our the Wedding, sangeet and mehndi outfits donned by the stars or the celebrities newbie wife! 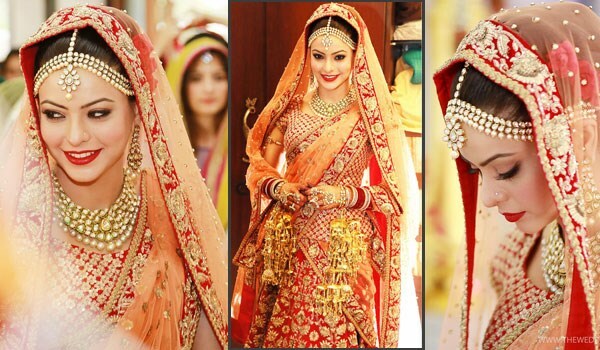 The way our Indian celebrities dress has a great impact on Indian wedding style as a lot of women tend to take inspiration from celebrity weddings. 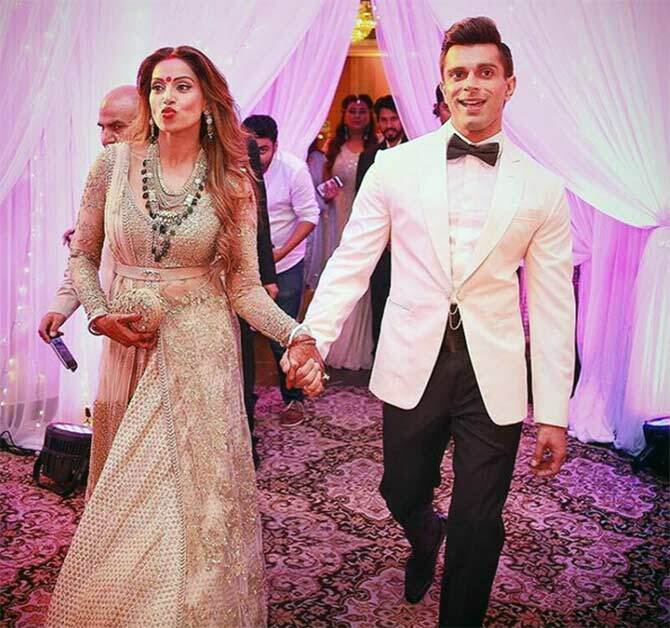 The glamorous weddings not only leave many breathless but the the wedding dresses and heavy lehengas are scrutinized by everybody for pointers on styling and decor. Here are 10 best famous celebrity brides to take inspiration from! 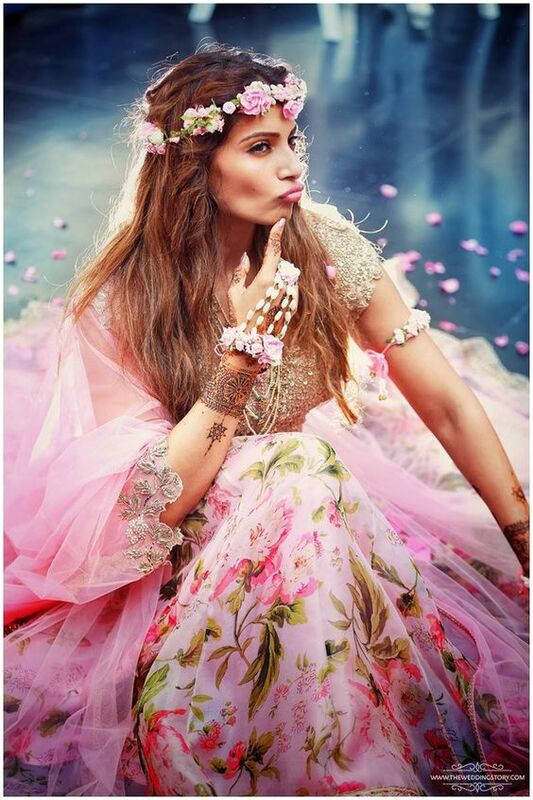 Bipasha gave us the biggest and the grandest wedding celebrity inspirations. The beautiful monkey themed wedding decor and the outfits donned by the glowing bride . 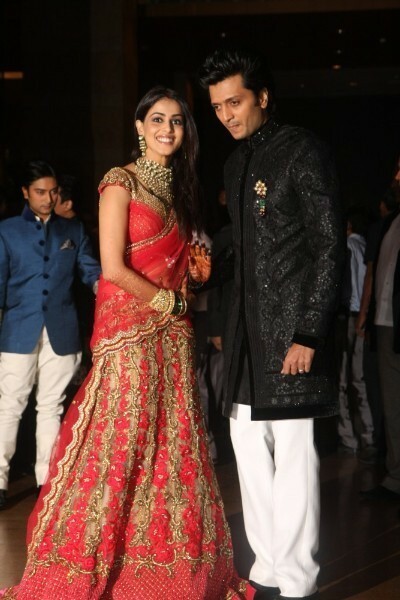 Her glitzy wedding outfits were a breath of fresh air! 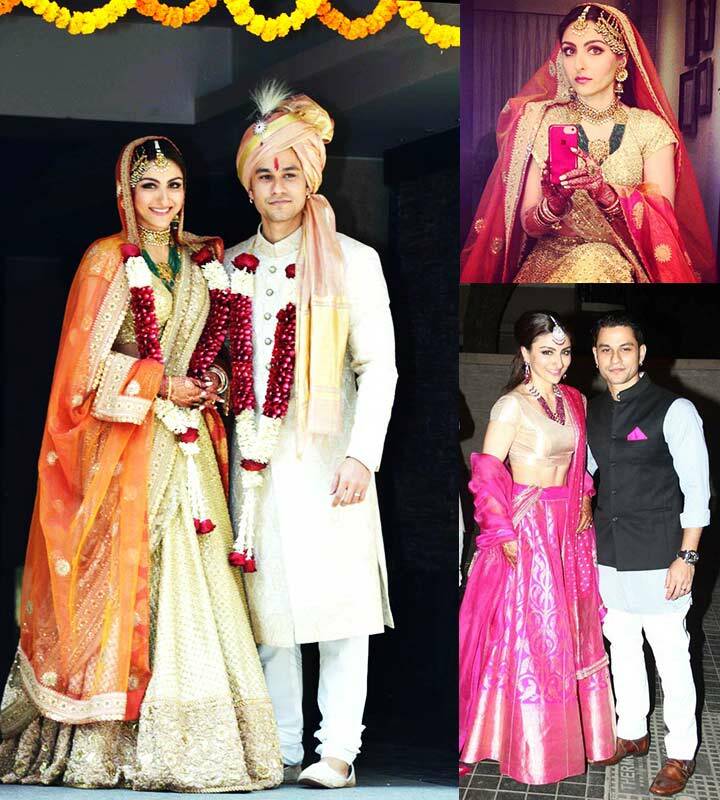 A beautiful white and pink floral lehenga and a pale gold angrakha choli, designed by Anushree Reddy for mehndi and sangeet ceremony followed by a stunning red Sabyasachi creation for her wedding vows. The icing of the cake was her shimmery reception outfit which gave a lot of people hopes of rocking a shimmery outfit with heavy emerald gold jewellery! Absolutely loved her flower headband and floral gandhbala she wore on her mehndi ! Read every detail of her wedding here. 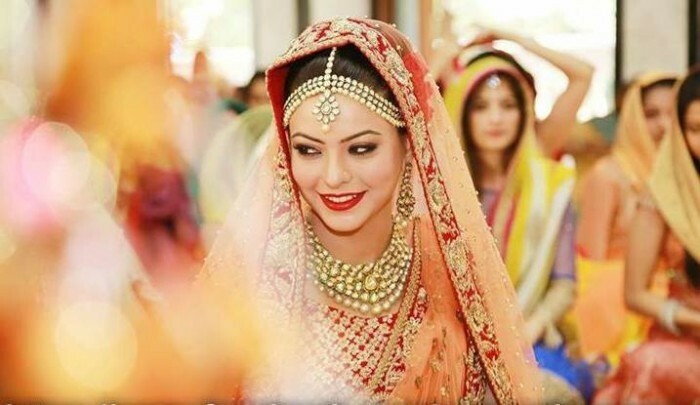 She might be the only bride to look fabulously classy and not OTT in a Sabyasachi lehenga ! 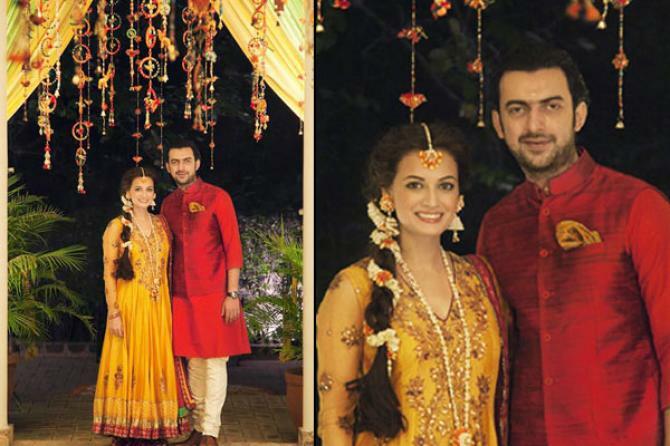 Loved her styling an orange dupatta and green jewellery with her pale gold Sabyasachi creation! She looked like a million bucks and gave me major wedding inspiration!!! Learn every detail of her wedding here. The beautiful wife of Shahid Kapoor had us at pink choodas and baby pink lehenga! Loved her delicate Jhoomar along with the beautiful floral jewellery adorned hairstyle! Read in detail about the wedding here. 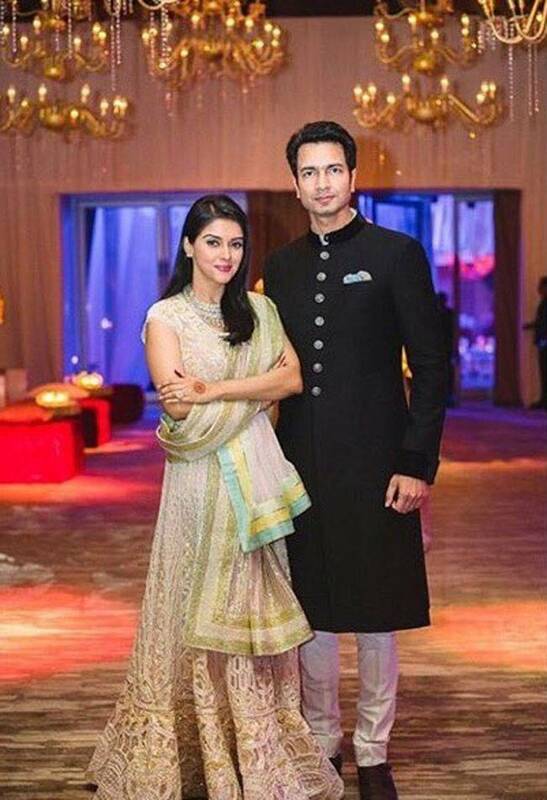 Giving the bridal lehenga a miss was Asin and gave shadi goals by donning a biege lehenga for her pheras! She inspired the bride clan who wanted to keep it simple with a link to our ancestral jewellery ! Love her pairing of a cream silk saree with her grandmother jewellery ! 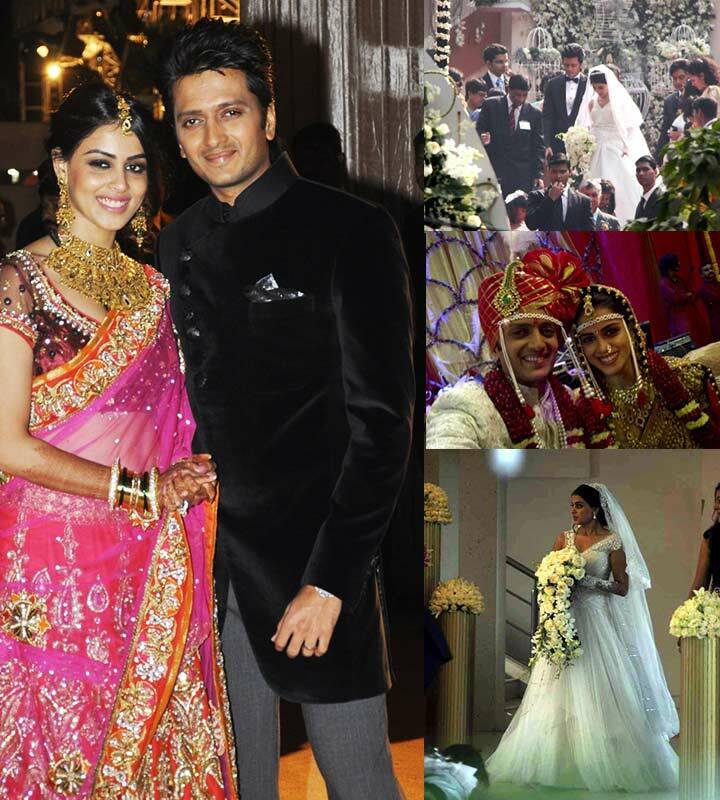 Genelia looked resplendent in all her wedding outfits. She rocked both the traditional and western outfits. the hot pink saree and the beautiful christian gown were a treat for the eyes. With her personality being lively it was great to see her don outfits which mimicked her personality! She made her outfit by Neeta and Nishka Lulla work to great lengths! 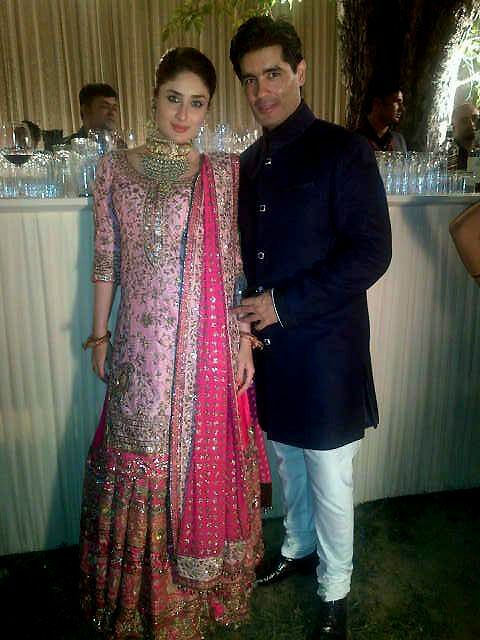 From simplicity to giving her MIL's sharara another go was Kareena Kapoor Khan and mahn did she look like a petite doll in her reception outfit? Hell yeah! I fell in love with her beautiful one shouldered white gown which gave a lil inspiration for a beach wedding outfit ! She looked like an angel with her long veil pinned in her hair! The flowing tresses with minimalistic makeup and floral tiara is pure lust! 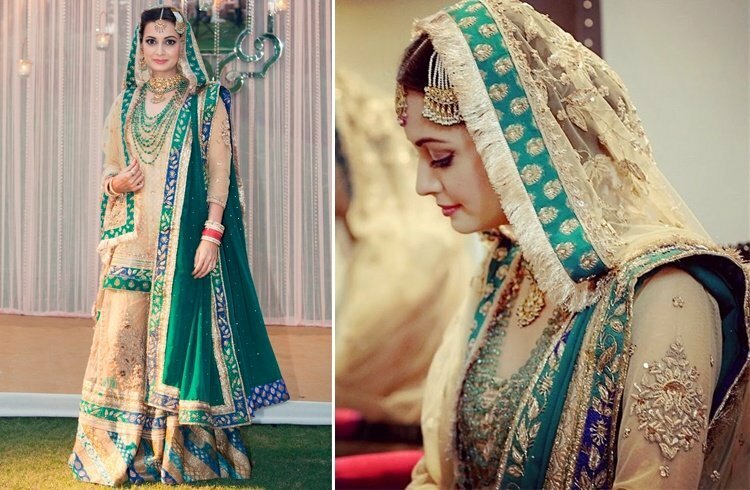 Finishing off the best dressed celebrities with the most impactful bride of the Tinseltown -Dia mirza ! She looked every bit of royalty in her green wedding outfit and her floral braid was major love! 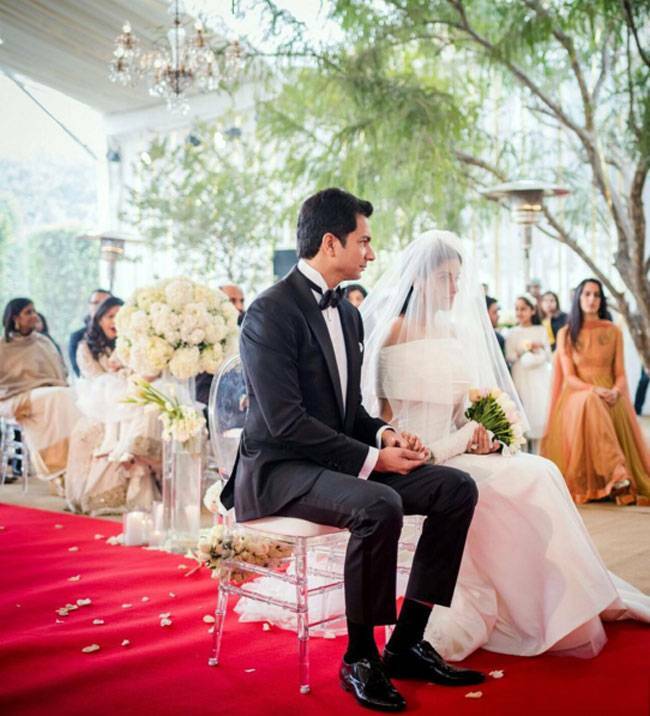 Get an insight on every detail of Dia's wedding here. Which of the bride's look do you prefer the most ? Do let us know if you like such other articles with celebrity news on Bollywood weddings, we will be happy to cover them for you!